The Babri Masjid, built by Mughal emperor Babur in 1578 in Ayodhya, was, on December 6, 1992, pulled down allegedly by a group of Hindu activists. 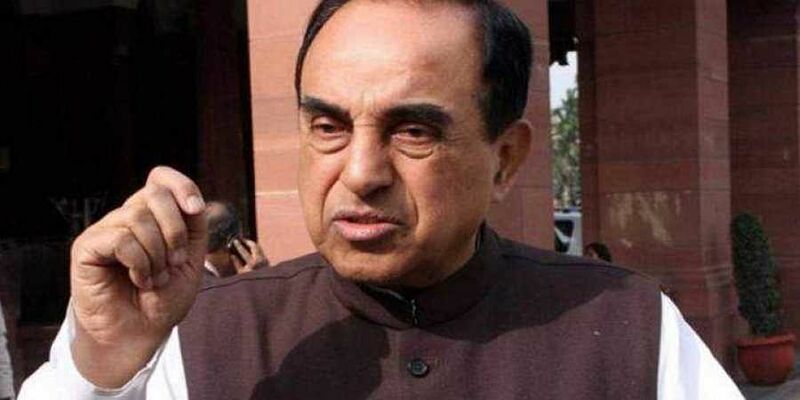 NEW DELHI: Bharatiya Janata Party (BJP) leader Subramanian Swamy has warned that if the Centre or Uttar Pradesh government tries to oppose the construction of a Ram temple in Ayodhya, he would "topple the government." "If our matter (Ram temple) is listed in January, we'll win it in two weeks. Because my two opposing parties are the central government and Uttar Pradesh government. Do they have the guts to oppose me? If they do, I'll topple the government. Though I know that they won't do it," he said while addressing a gathering at the Jawaharlal Nehru University (JNU) here on Friday. Furthermore, Swamy claimed that the Muslims known to him had no objection in the construction of a Ram temple in Ayodhya. "The Muslims I meet personally tell me that they will not have any objection on the construction of Ram Mandir in Ayodhya," he asserted. Explaining the timeline of the case, Swamy noted: "Sunni Waqf Board filed a case claiming that the land that was captured by Mughal ruler Babar is ours. They never said that they want to re-construct Babri. They just said it's our title. Hindu parties like Ram Janmbhoomi Vyas and Nirmohi Akhada said that there were two temples of which they were trustees, and should be given to them. The Allahabad High Court heard their suit and said it's Ram Janmbhoomi, two gumbads will go to Hindus, one to Muslims." Further substantiating his stance and giving a chronological order to the incidents, he added: "Sunni Waqf board challenged it because the land was given to Muslims and not them. The matter was then not heard from 2010-2017. I went to the Supreme Court, and that is why the date was not being fixed by the court. First, they ousted me asking what my stake is (in the matter)"
Elaborating upon how he further went about the case, Swamy claimed that his right to pray should be considered above a property right. "I have the right to pray according to the constitution. Court agreed to hear. My faith says that Ram was born here and I want a huge temple there. Muslims are only asking for property, which is not a fundamental right. I appeal to the Supreme Court to put my fundamental right above their normal property rights and accept my petition," said the BJP leader. Adding weight age to his remark, Swamy claimed that the Archaeological Survey of India (ASI) stated that there was a temple on the disputed land of Ram Janambhoomi. "ASI has given a report that states there that was a temple at the land and Allahabad High Court also said that the temple should be constructed. However, Congress said the 1994 judgement is old and a 7-judge bench should be constituted to take a decision. The judgement came in November that there is no need of the bench, so half of my work is completed." The Babri Masjid, built by Mughal emperor Babur in 1578 in Ayodhya, was, on December 6, 1992, pulled down allegedly by a group of Hindu activists, claiming that the mosque was constructed after demolishing a Ram Temple. Since then, several hearings have been held in the top court to resolve the issue. The Supreme Court in October adjourned the Ayodhya title suit till January 2019 to fix the date of hearing in the matter. At present when the BJP is in Dire Straits awaiting the out come of the local elections —-for Subramanian Swamy the main concern is building the Ram Temple as his priority. BJP does not need enemies from out side when one has an ally like S Swamy within!